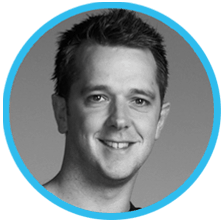 Steve is a creative professional with a plethora of experience, working in advertising, publishing and editorial. Having recently worked at top 10 Advertising Agency, Grey London, as the Creative Lead on the Hugo Boss account, he combines strategic thinking, conceptually strong ideas and an integrated approach to provide award winning campaigns that build awareness and connect brands to consumers. Producing work across print, TV, digital, in store, experiential and OOH platforms for a variety of fashion, luxury, FMCG and lifestyle brands.